Hot off the heels of directing this year’s horror smash A Quiet Place, John Krasinski is sticking with the same genre and directing the sci-fi Life on Mars next. 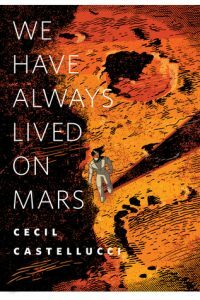 The film will adapt the short story written by Cecil Castellucci called We Have Always Lived on Mars, but there is no screenwriter attached to the project yet. Krasinski will probably not star in this one, but he is also on-board as a producer. The short story follows a woman who discovers that she can breathe on Mars. The woman is one of a few descendants of an abandoned Martian colony, so the news gives her and her colony hope for a brighter future. Exciting news; more as it comes!